On Wednesday 10 October the State Library Queensland hosted a special lunchtime edition of the 2018 UQ Architecture lecture series featuring revered Indian architect, Gurjit Singh Matharoo. 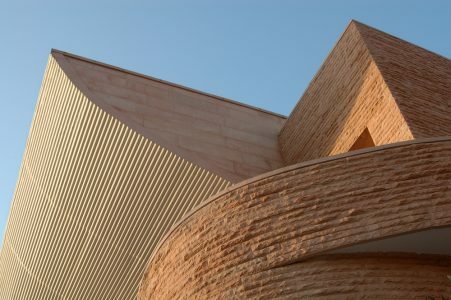 Matharoo has played a significant role in reviving the Indian architectural scene. In 2013 he was awarded an International Fellowship by The Royal Institute of British Architects, one of the youngest recipients of this lifetime honour. Matharoo Associates is a 25 year old practice that began operations in Ahmedabad, India in 1992. The studio calls themselves romantics governed by emotion over calculation, and affected by beauty more than gain. Projects are injected with a potent dose of wit, so buildings are not sterile, but playful and fun to be in. It is coupled with their internal working philosophy of extreme restraint, ‘when in doubt, reduce; when not in doubt, surely reduce’. 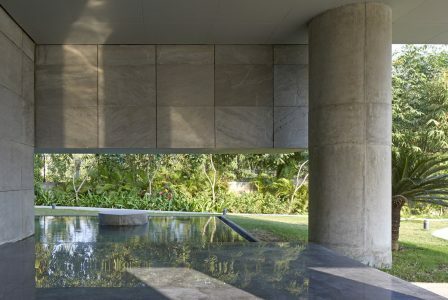 Matharoo’s architectural vernacular focuses on concrete, raw natural materials and spaces flooded with natural light. Matharoo Associates’ diverse range of projects have brought the firm international and domestic recognition, including the 2011 International Architecture Award by the Chicago Athenaeum, the 2010 Architectural Review House Award, and the 2009 AR Emerging Architecture Award. 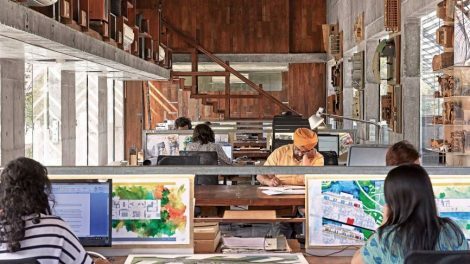 Gurjit Matharoo is currently Chair for Architectural Design at his alma mater, CEPT University, Ahmedabad, where he has been visiting faculty since 1990, and is the founder member of the architectural workshop ‘Pan India Travel Studio’. “The recent work of Matharoo Associates reinvigorates the concrete language of Le Corbusier and Kahn, and the early works of Indian Modernists, but is rendered with a more slender and lighter disposition. Projects from private residences to public facilities brandish a rough, impenetrable shell that conceals a cocoon of animated space; a difference of materiality also amplifies the contrast. He is also passionate about product design, especially automobiles, having designed mobile blood‐ donation vans and carried out research in advanced motorcycle design.” Copyright © 2007 John Wiley & Sons, Ltd.